Special privilege for all Citibank & Standard Chartered credit card holders to enjoy 0% interest installment plan. 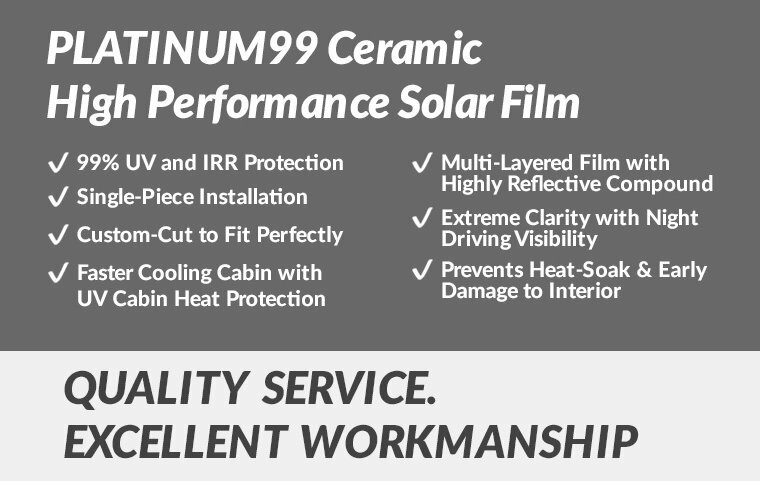 Tested and proven to block up to 99.6% of harmful UV rays and 99% of Infra-Red rays (IRR) , Infratint solar films also acts as a layer of protection for the incumbents against the harmful radiations. As a result, the film is effective in keeping the interior of the car cool on a scorching day. More importantly, Infratint solar films have undergone testing at the local and Malaysian authorities, and is compliant to both LTA's and JPJ's set of visual clarity regulations. While the film acts as an effective layer of protection, it ensures clear vision at all times, and does not hinder any data transmission or signals from the In-vehicle Unit through the windscreen.At Infratint Automotive, a team of trained specialist tasked with the installation of the film, quality of the finished product is also assured. Infratint's films are specially designed to suit specifically for automotive applications unlike other companies, which uses films for a wide range of applications. Through extensive research and development, Infratint is able to fabricate a premium solar film that can protect passengers from harmful UV radiation and yet at the same time, utilizing its reflective layer to shield the cabin from excessive heat. This in turn helps the vehicle save on the amount of energy used to cool the interior of the car and reduce fuel consumption. 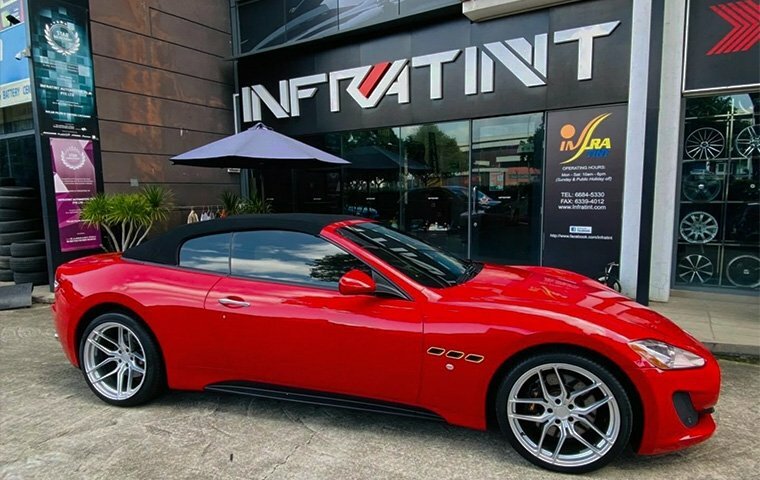 Infratint is where you can find solutions to control the sun's glare and heat in your vehicle, protecting yourselves as well as your passengers. Awesome workmanship from Sherman & Team. No hard selling or pushing packages which I very much prefer. Films are well installed and do really reduce the amount of heat in my car.